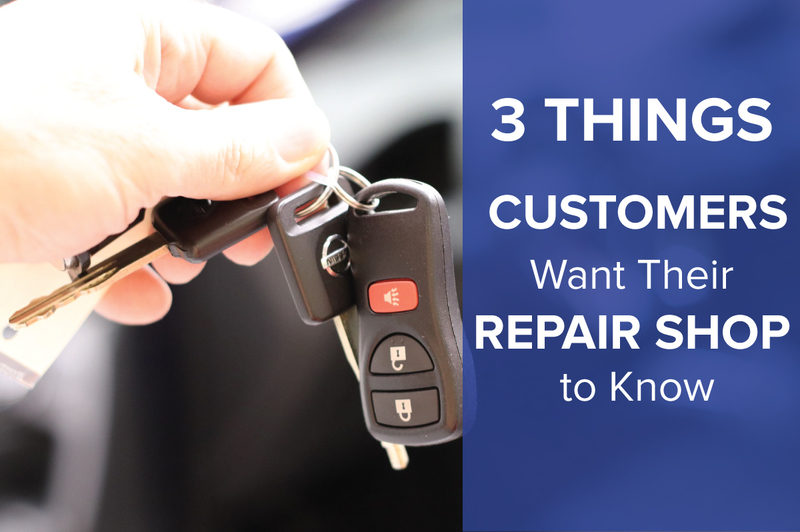 3 Things Customers Want Their Repair Shop to Know - ShiftMobility Inc.
Trust is an issue. This is a tough pill to swallow, but some customers feel forced into trusting what you’re telling them is true. To combat this, shops must do a better job of maintaining transparency by educating customers on necessary repairs and ensuring they know safety is a shared concern. While it may sound simple, overall effectiveness largely depends on how you approach and maintain communication with both new and current customers. Be proactive, but contextual. Mileage based service reminders, digital inspection sheets, recommended and deferred services, and simplified vehicle event explanations are all great tools. Make your customers feel at ease by using their preferred communication channel to relay information. Let’s face it, the technical jargon used in the shop when discussing parts and procedures might as well be a foreign language to those not in the business. Customers want to understand how they can keep their vehicle running its best, and simplified explanations with real life examples is the best way to accomplish this goal. Rather than simply telling a customer they need a new head gasket, take a moment to snap a picture of the oil seepage and add a simple note describing why it’s a problem. Armed with clear examples, you can better illustrate the need for a repair while simultaneously building trust and loyalty every step of the way. Remember, you speak car, they don’t. Poor communication and ad-hoc engagement is a death trap for repair shops. You’re busy plying your trade, for sure, but it’s no excuse for a consistent lack of service updates, proper maintenance education, or other follow ups. Luckily, there are tools available to help. With the right solution, your shop can drive superior service and peace of mind with proactive engagement, deliver promotions and loyalty rewards directly into their hands, deploy targeted marketing campaigns based on actual service needs, and have the parts ready for the job when they arrive. Proactive engagement helps your shop develop lasting customer relationships by letting them know that they’re in good hands, which is precisely what keeps them coming back.